News Where’s Maury the Mule? 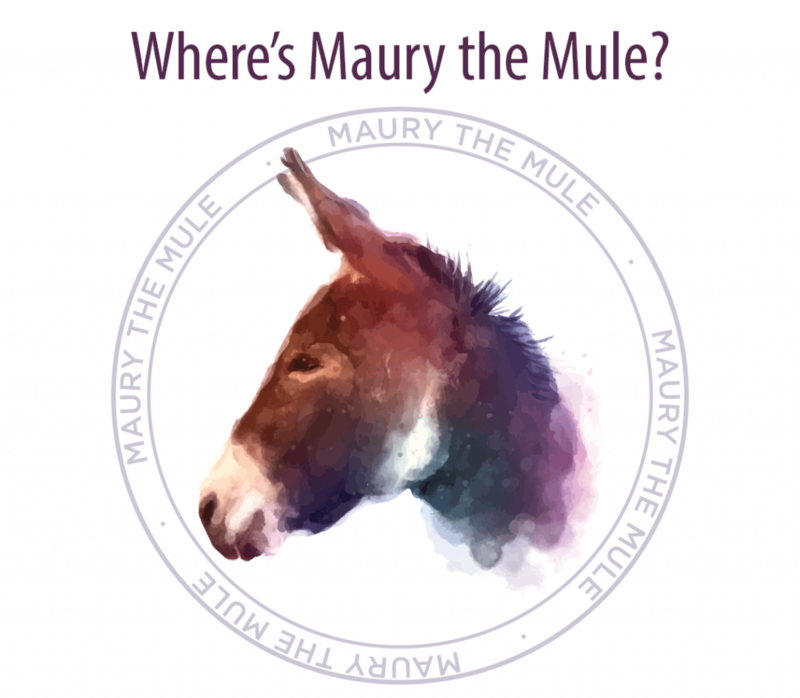 Our Annual “Where’s Maury the Mule” adventure starts on March 28th! Pick up a passport from any of the 25 participating merchants listed below and get your passport stamped at as many locations as possible. Be sure to share your journey across Maury County on social media! Turn your passport in to the Maury County Chamber Office on April 8th to win great prizes! Pick up a Passport at any participating merchant or the Maury County Chamber office starting March 28th. Find Maury the Mule in a merchant’s store and have them sign or stamp your passport. Take your passport to the next store. Keep finding Maury the Mule until you have visited at least 21 merchants (there are 25 in all). Once you have filled out your Passport, complete the information on the inside and drop it off at the Maury County Chamber office before 5:00 pm on Monday, April 8th. Visiting 21 Merchants qualifies you for the GRAND PRIZE DRAWING. If you visit all 25 merchants, you will get a DOUBLE ENTRY into the grand prize drawing. NEW THIS YEAR If you visit at least 5 merchants, you can enter to win a Local First Gift Card so turn your passport in! Two lucky winners will receive a Local First Gift Card for participating. The grand prize drawing will take place on Tuesday, April 9th and the winner will be notified via phone. 21 Merchants must be visited to qualify for the grand prize. The Grand Prize is over $600 in gift cards from participating merchants!